This isn’t one of those times that I tell you I am a miracle worker except maybe I AM. Especially in the eyes of my small dude. 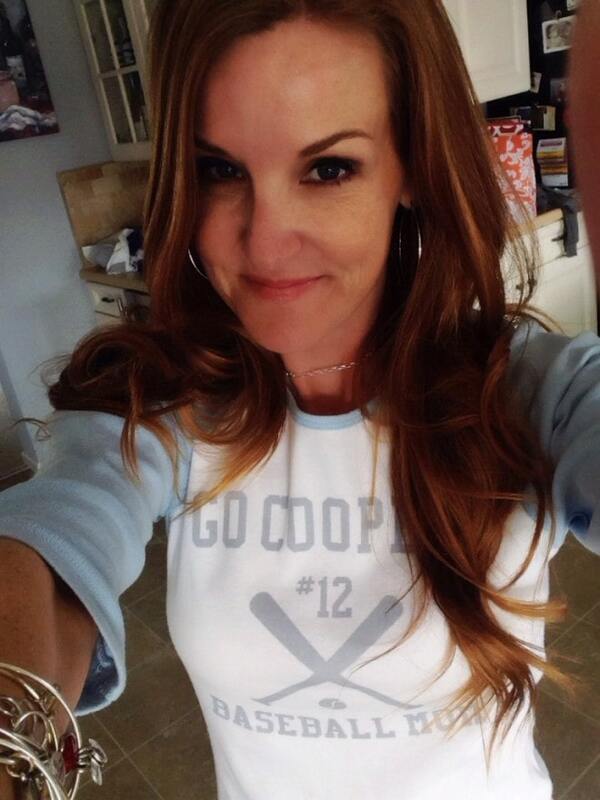 And also maybe in the eyes of the other baseball moms on Coop’s team. You see, the Rookie’s season just started last Sunday – as in nine days ago. The team played League games on Sunday, on Thursday, and then Tournament games on Friday, two on Saturday and two innings at 8am on Sunday until a torrential downpour and lightening put a halt to the game. In case you weren’t aware, baseball is a superstitious game. 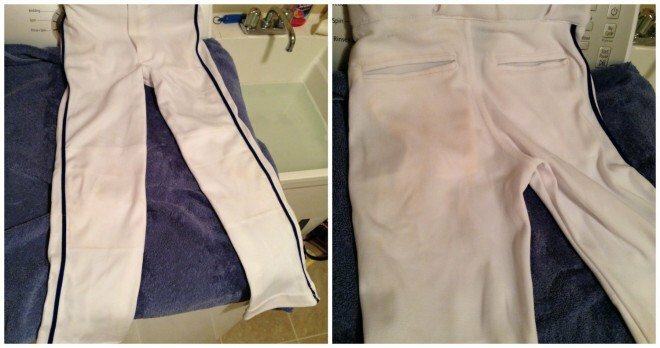 This means, at least in our family, your uniform isn’t washed that often. Great for players and coaches. 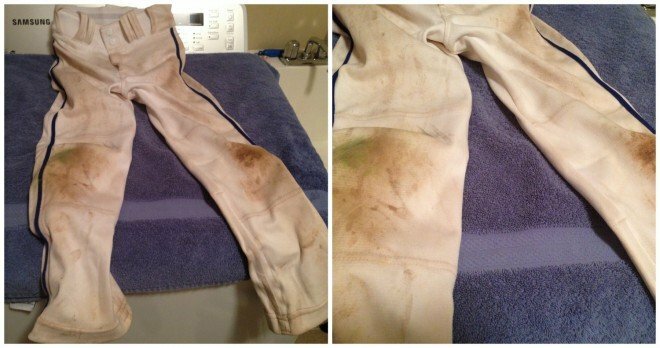 MISERABLE FOR MOMS WHO WASH THE UNIFORMS. Can I get an AMEN? I proudly wear the shirt to support my guy. 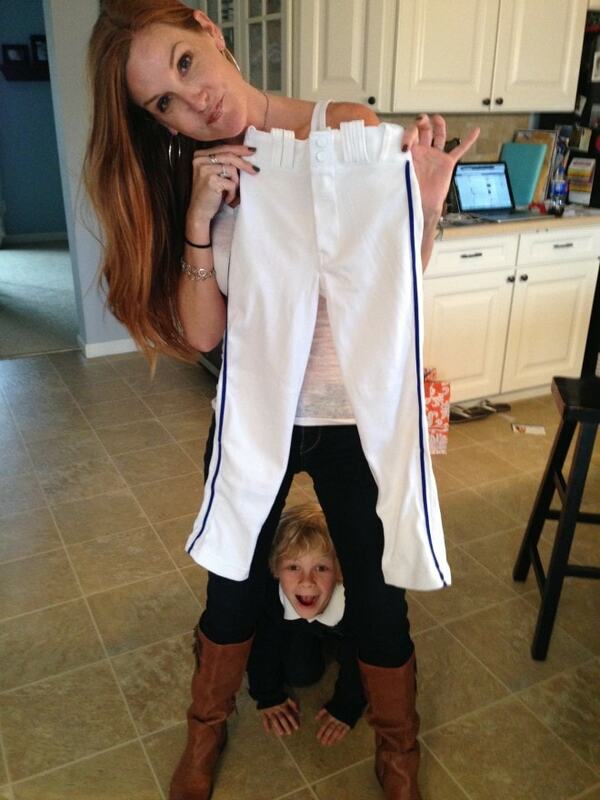 This is what Coop’s pants looked like on Sunday night. Normally, I would soak them, use Tide with bleach and pray. But, my friends at Tide sent me Tide OXI Multi Purpose Stain Remover to try. And? As you can imagine, I was AFRAID of what I was facing. Many of the other parents had already been washing their boy’s pants (a few times, I might add) So, I was willing to try something different. I followed the directions, soaking with this new Oxi instead…. and added a little elbow grease (I was AFRAID of those grass/mud/icee stains). And this? Miracle. After the wash.
TAKE THAT, BASEBALL MESS. I’ve got you covered. Five and a half games. No washing in between. 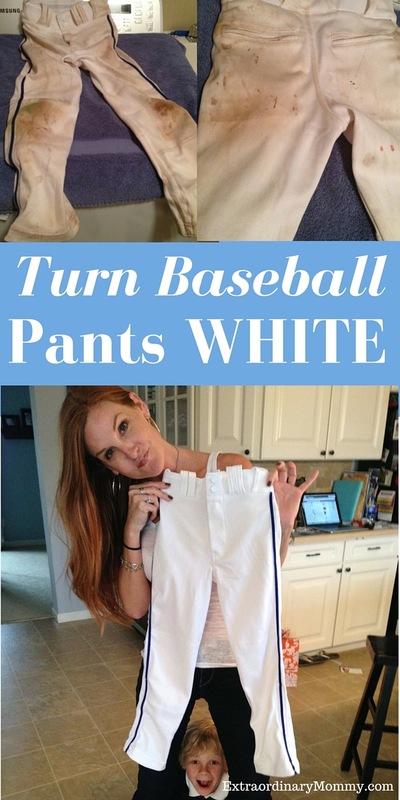 To simple, beautiful WHITE, Baseball Perfection. Mom + Tide OXI = Awesome. I can’t find it either. Also, elbow grease? Thanks! 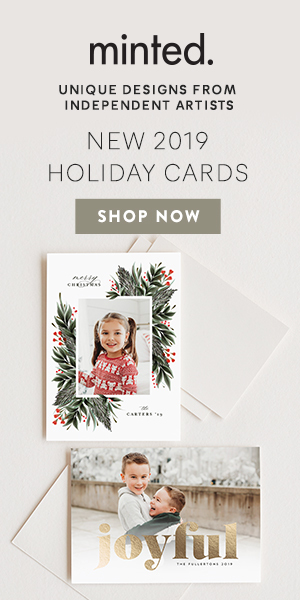 Hmmm – I haven’t looked for it in a while, but I always purchased it at Target. Ha! I’ve heard of this as a method – even seen videos. Love that it works. If you get on a field with red clay or brick dust you are going to need something stronger. 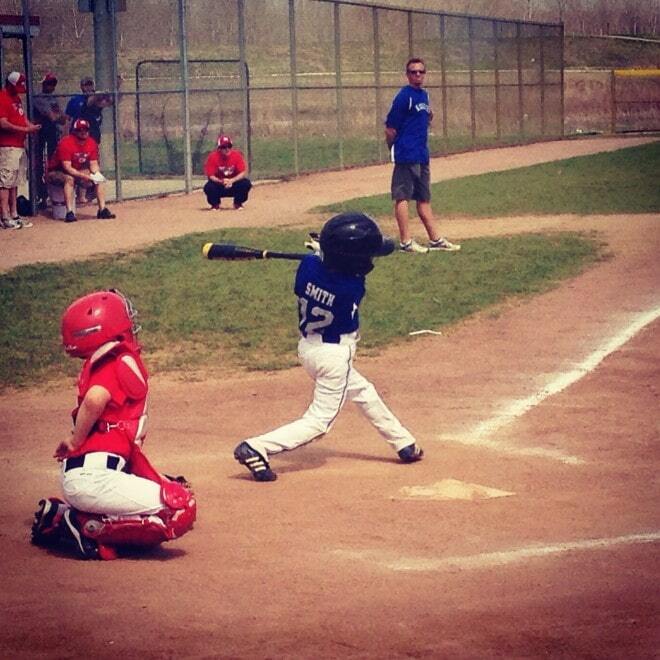 Also as they get older & play harder, they will get much dirtier at games (hard to believe maybe but true!) 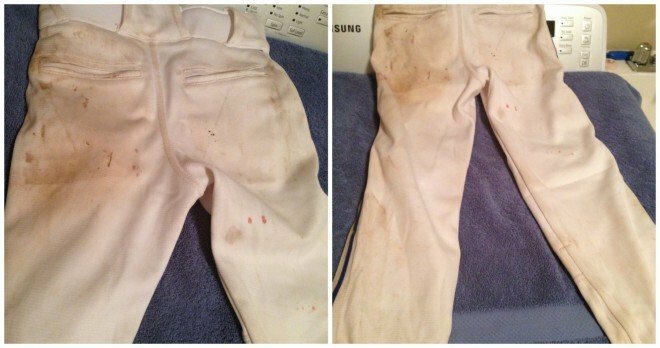 and the pants get pretty expensive so you will not want to use a power washer anymore. Good for cheap pants but blowing the fabric fibers out of expensive pants will shorten their life. I used to use Iron Out, smells terrible but works on red dirt really well. It will discolor anything embroidered so I switched a few years ago to White Out. It’s the best I have found. I use it on all my whites now instead of bleach & it’s even better if you ever get another color that bleeds onto something white. Also FelsNaptha laundry bar soap. Rub it on really tough spots before washing. Gets anything out. Like $1 at Walmart.